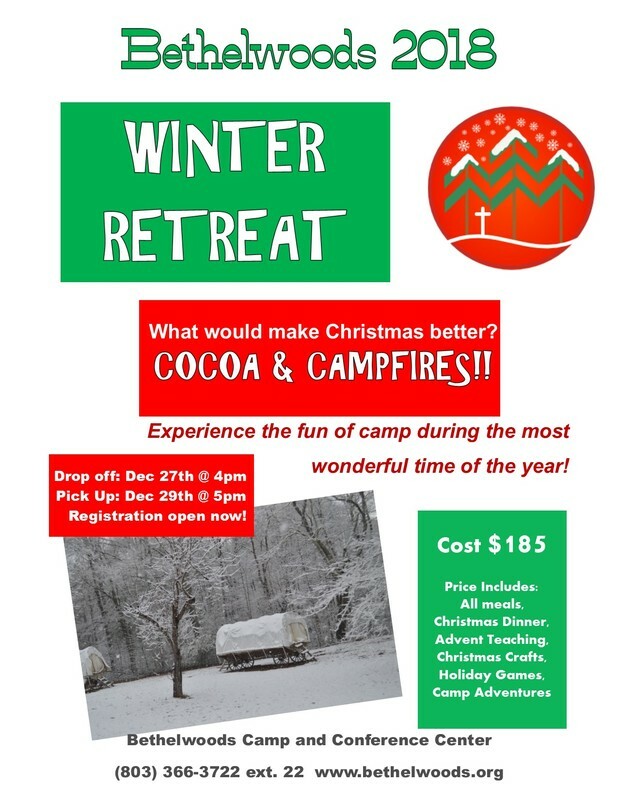 Christmas Retreat: December 27-29 Our annual retreat offers a chance to experience camp during the holiday season. Open to students currently in 1st-12th grades, join us for games, winter Gaga, fires, worship, and Christmas cheer! Cost is $185 per camper. Drop-off is 4:00-5:00pm on Thursday. Closing Program and Pick-Up is 5:00-5:30pm on Saturday.